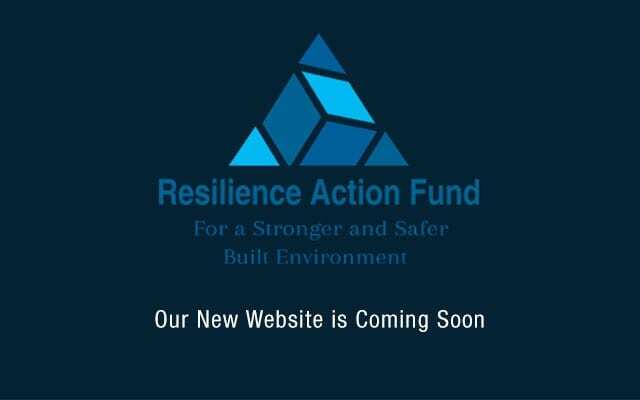 Resilience Action Fund (RAF) is committed to protecting your privacy. This policy is designed to help you understand how RAF collects information about you when you visit its website or submit email information and how it uses and discloses that information. This policy applies to data that personally identifies you (personal information) that is collected. Your use of this website constitutes your agreement to this policy. We have developed our website so that you may visit it without being required to provide your name, email address or similar personal information. However, certain features of the website may include features or services that permit you to enter contact information and other information about you, such as your name, address and e-mail address. We may also collect personal information when you request to participate in or register for an event we are involved with. We currently do not collect information about your use of the website is automatically through cookies, web beacons, and other tracking technologies, as well as through your web browser or device (e.g., IP address, MAC address, browser version, etc.). When you interact with the website through a social media platform (such as by clicking on a social media icon linked from the website), we may collect the personal information that you make available to us on that page, including your account ID or username and other information included in your posts. If you choose to log in to your account with or through a social networking service, we and that service may share certain information about you and your activities. We may use information you give us to communicate with you, including to respond to your inquiries and fulfill your requests. We may change our corporate organization while providing the website. We may transfer to another entity or its affiliates or service providers some or all information about you in connection with, or during negotiations of any merger, sale of assets or any line of business, or other corporate transaction. We cannot promise that an acquiring party or the merged entity will have the same privacy practices or treat your information the same as described in this policy. We handle and store your data in a secure manner with restricted-access. However, no data transmitted over the Internet can be guaranteed to be 100% secure, and WE DO NOT REPRESENT OR GUARANTEE THE SECURITY OF PERSONAL INFORMATION OR OTHER INFORMATION IN ANY FORM. Similarly, we disclaim liability for personal information submitted through our website and you provide us with this data at your own risk. Our databases are located in the United States. If you are outside of the US, you may be located in a region with laws or regulations governing personal data collection, use or disclosure that differ from US laws, which do not have the same data protection laws as the EU and other regions. By providing your data you consent to: (i) the use of your personal data for the uses identified above in accordance with the policy; and (ii) the transfer of your personal data to the 3 US as indicated above and the application of US laws to the collection, use and disclosure of your personal information. Do not provide or allow others to provide personal information about anyone unless you, on your own behalf and on behalf of anyone whose information you provide: (a) have reviewed and agree with this policy, and (b) are authorized to and do consent to have all data used and transferred internationally. By submitting any personal information about others you represent and warrant that you received such authorization beforehand. Transfers: Personal information we collect may be transferred to, and stored and processed in, the United States or any other country in which we or our affiliates, partners, or service providers maintain facilities. We will ensure that transfers of personal information to a third country or an international organization are subject to appropriate safeguards as described in Article 46 of the GDPR. Individual Rights: If you are a resident of the EEA or Switzerland, you are entitled to the following GDPR rights. Please note: In order to verify your identity, we may require you to provide us with personal information prior to accessing any records containing information about you. The right to access. You have the right to obtain information about our processing of personal data and a copy of your personal data that we store. The right to lodge a complaint. You have the right to lodge a complaint about our data collection and processing actions with your data protection authority. Contact details for data protection authorities are available at http://ec.europa.eu/justice/article-29/structure/data-protectionauthorities/index_en.htm. We comply with the Children’s Online Privacy Protection Act of the United States and similar laws around the world where applicable. Although it may be used for educational purposes, our website is not specifically targeted to children, we do not actively solicit information from children, and we do not knowingly collect personal information from children without proper parental consent. If you believe that we may have collected personal information from someone under the applicable age of consent without parental consent, please write to us at the physical address set forth below in the section “Inquiries” and we will promptly address the issue.